JORDAN - Barcelona Allstars S.L. CAMISETA JORDAN . 100% ALGODÓN . CALZADO JORDAN . WMNS AIR JORDAN 1 MID . SUDADERA JORDAN . 100% ALGODÓN . CALZADO JORDAN . AIR JORDAN 1 LOW . CALZADO JORDAN . AIR JORDAN LEGACY 312 . CAMISETA JORDAN . 100% POLYESTER . CALZADO JORDAN . AIR JORDAN 1 MD . GORRA JORDAN . AJUSTABLE , 100% POLYESTER . GORRA JORDAN . AJUSTABLE . 100% POLYESTER . GORRA JORDAN . SNAPBACK , 100% ALGODÓN . CALZADO . AIR JORDAN 3 RETRO . CALZADO NIKE . AIR FORCE 1 ´07 LV8 SPORT . GORRA JORDAN . SNAPBACK . CALCETINES JORDAN . 2 PARES . GORRA JORDAN . STRAPBACK . GORRA JORDAN . STRAPBACK . 53% Polyester + 47% Algodón . 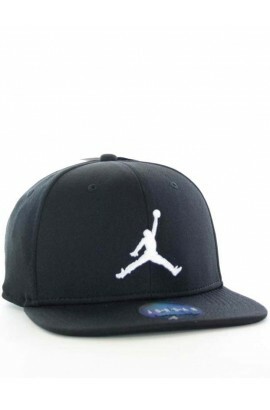 GORRA JORDAN . SNAPBACK . 53% Polyester + 47% Algodón . CALCETINES JORDAN . 96% Polyester + 3% Elastano + 1% Nylon . GORRA JORDAN . Cuerpo 100% Polyester . Forro 100% Algodón .